House flies are probably the most common pest of all time. They seem to thrive anywhere man does. Females will lay up to 150 eggs in a batch and can produce up to 5-10 batches spaced several days apart. She will lay these eggs on anything organic. This includes garbage, landfills, compost, pet and animal resting areas, kitchens, dumpsters and anywhere organic matter or foodstuff is left in the open and is decaying. The larva hatch in a short while and immediately feed on the organic material where they rest. After feeding a week, they will migrate away and seek a cool dry place where they will spin a cocoon and pupate. They will then emerge as adults after several days and start the cycle all over again. You can expect up to 20 generations of these flies in any one summer where it is warm. Adults live for about a month during which time they do nothing but reproduce and bother people. 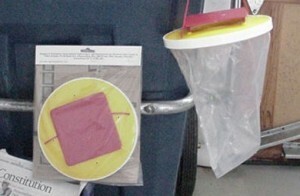 The control of common house flies is fairly easy and there are several treatment options which work well. As a space spray, apply PT-565 daily as is needed. This can be time consuming so installing some AEROSOL MACHINES which take the PURGE FLYING INSECT KILLER will prove more efficient if you have an ongoing house fly problem. For the yard, barn, stable, garbage area, dog pen and any other place around the home, PERMETHRIN 10 is a good all around product. It can be applied to the animals as well as the structures so if you want one product, this is it. 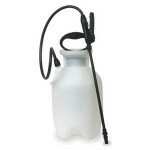 Use it in a PUMP SPRAYER or a FOGMASTER 6208 FOGGER to treat. If you want something a little stronger for the structure, go with the ONSLAUGHT. It’s time released and can last several months where applications are out direct sunlight. Onslaught cannot be used on the animals but it’s great for any surface where flies are landing. 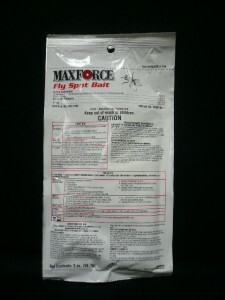 In the yard, MAXFORCE FLY BAIT and FLIES BE GONE FLY TRAPS can be a big help. House flies love the bait and can’t resist entering these traps. Lastly, as a personal repellent, apply MAXI DEET or DEET LOTION to your skin. The lotion will last longer if you’re going afield. The Maxi Deet is the strongest you can get for direct applications to the skin. For clothing, go with the PERMETHRIN AEROSOL.